My twenties are over, and they've been awesome. I graduated from college, got married, became a full-time pastor, moved to another state, bought a car, bought a house, had two children, wrote two books, and moved to another country in my twenties. This doesn't include the countless conversations, laughter, tears, and memories from the thousands of beautiful and fascinating people I've encountered over the past ten years. This decade has been full and fulfilling, and I am humbled and grateful for the grace bestowed upon me. So what will the next ten years look like? I have no idea. When I look back upon the life I've lived thus far, it's full of unexpected blessings and beautiful surprises. I never planned any of this. Oh, I had plans. But not these ones. These turned out far better, and were usually in spite of me and directly connected to Jesus and his guidance. Even though I'm unsure what the next decade will look like, I'm still going to set some goals and see where they lead. 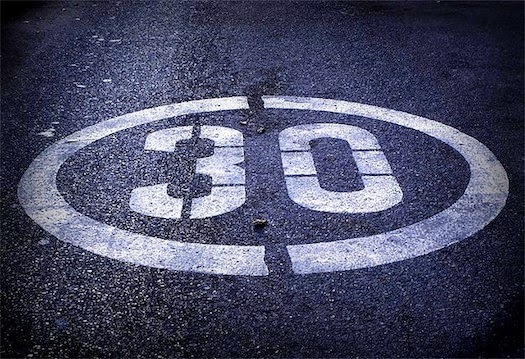 I'm publicly posting 30 goals for my 30s, right here and now. This isn't an exhaustive list--I have unspoken dreams for my life that aren't ready to be posted on a blog yet--but it's a pretty full one. So if the Internet and blogs still exist in ten years, this will be a public record of what I was aiming for. Things I hope I'll always be doing: love and follow Jesus; love and support my wife; love and encourage my children; teach and disciple others in the way of Jesus; live the Gospel. One of my personal values is to live a great story. I'm confident the Author will continue to tell a great story in and through me in the next ten years.